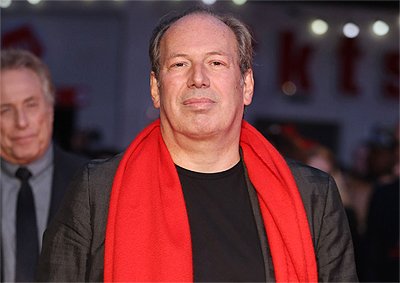 After his extensive work in the DC Universe, including the recent Zack Snyder-directed Batman v Superman: Dawn of Justice, composer Hans Zimmer has announced to the BBC that he is retiring from doing music for superhero movies. “I did ‘Batman Begins’ with Chris [Nolan] 12 years ago, so ‘The Dark Knight Trilogy’ might be three movies to you, to me it was 11 years of my life,” ZImmer explained of his decision. In addition to that trilogy, he also scored Man of Steel and The Amazing Spider-Man 2. Zimmer was initially reluctant to return for Batman v Superman, and it appears his work on the new film with Junkie XL may have been the straw that broke the camel’s back. “This one was very hard for me to do, to try to find new language,” Zimmer said of the new movie. While he may not do any more DC movies, he’s still providing music for some big tentpole movies, including Ron Howard’s Inferno and Christopher Nolan’s Dunkirk. We’ll have to wait and see just how long this retirement lasts for the 58-year-old German composer. Batman v Superman: Dawn of Justice stars Henry Cavill as Clark Kent/Superman, Ben Affleck as Bruce Wayne/Batman, Gal Gadot as Diana Prince/Wonder Woman, with Amy Adams, Laurence Fishburne and Diane Lane returning from Man of Steel, joined by Jesse Eisenberg as Lex Luthor, Jeremy Irons as Alfred, Holly Hunter as Senator Finch, as well as Scoot McNairy, Callan Mulvey and Tao Okamoto.